Although it may not look like it, every piece of furniture in the store is vintage. 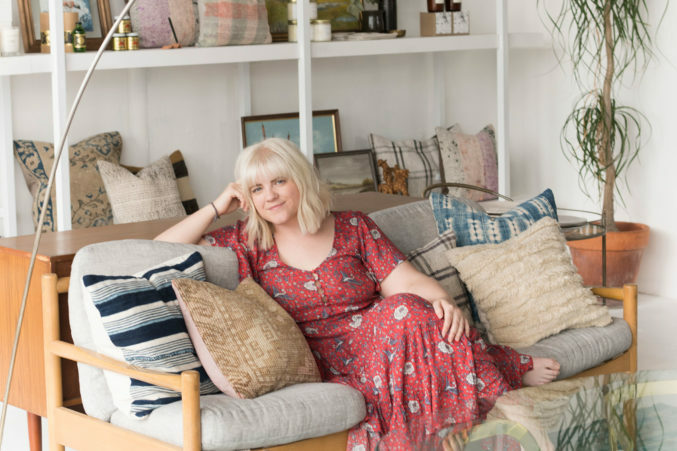 Everything else is handmade by small businesses, most of which founder Molly Matthias and her mother found on Etsy. Brooklyn Candle Studio products, stained glass pieces by Kelly Christine Sutton, jewelry by Four Eyes Ceramics, artwork by Rikkianne Van Kirk, and the occasional smudge stick blend in seamlessly with the vintage wicker sets and leather safari chairs.